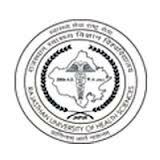 Hello Friends this is informed to all that Rajasthan University of Health Science (RUHS) is going to invite new Application forms for the post of Pharmacist 2013. Good news for all upcoming pharmacists!! Details About new jobs:- and share this post from below buttons.